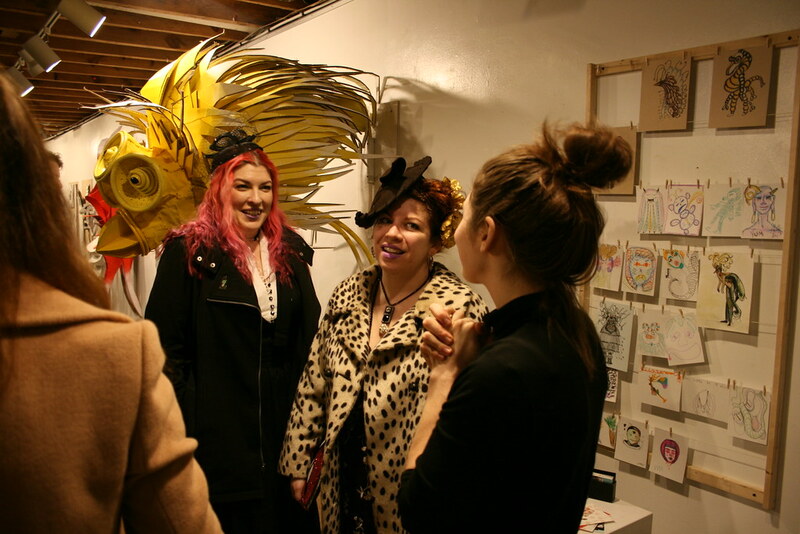 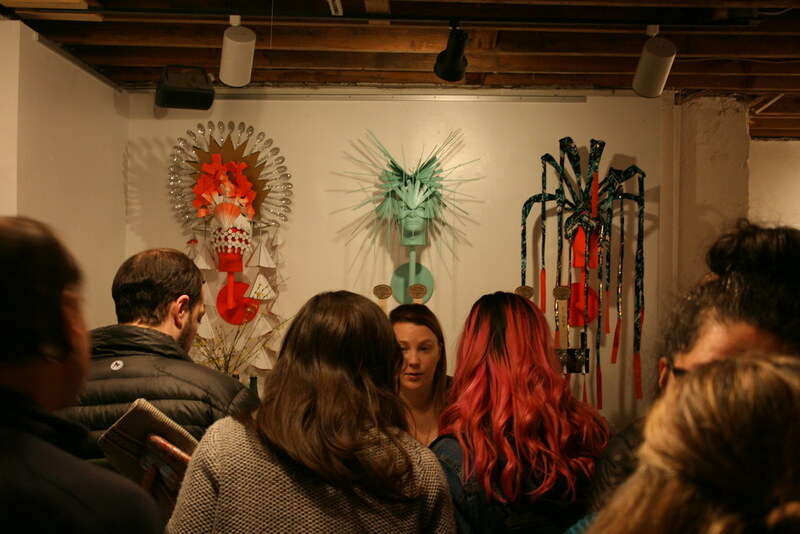 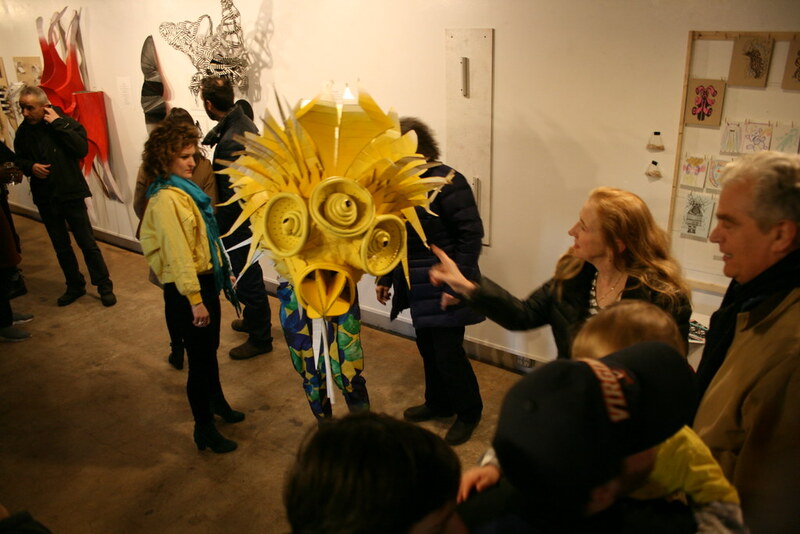 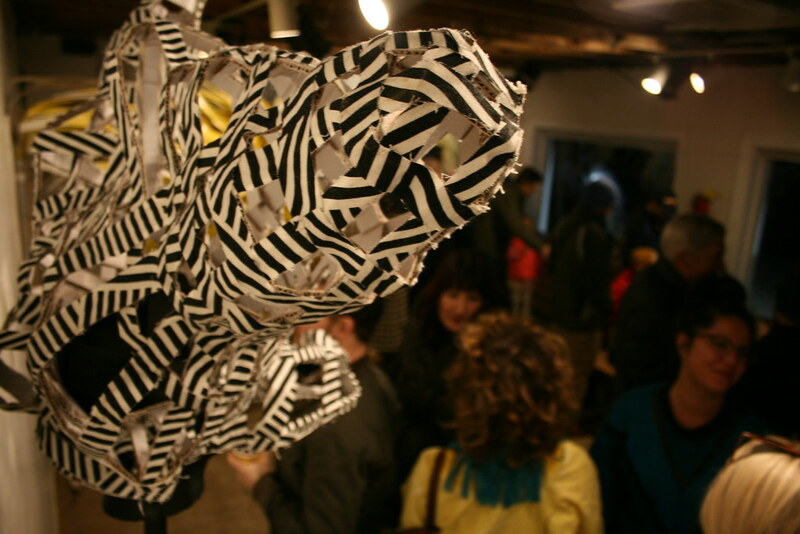 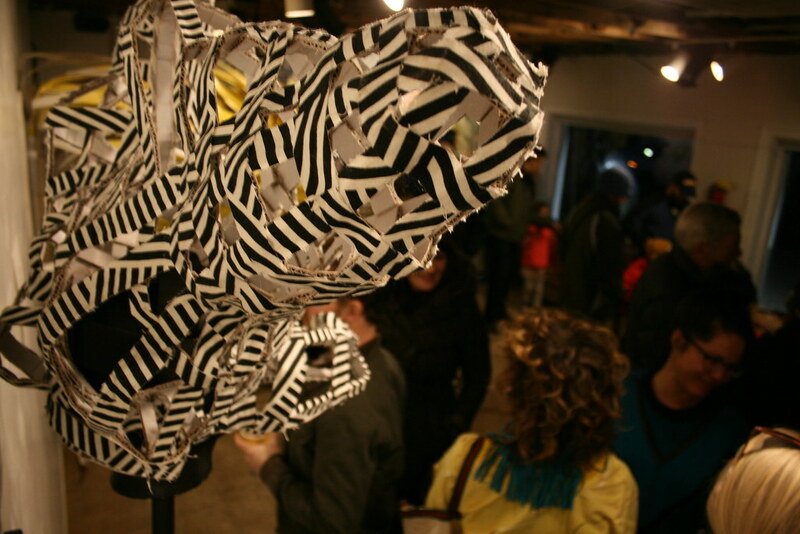 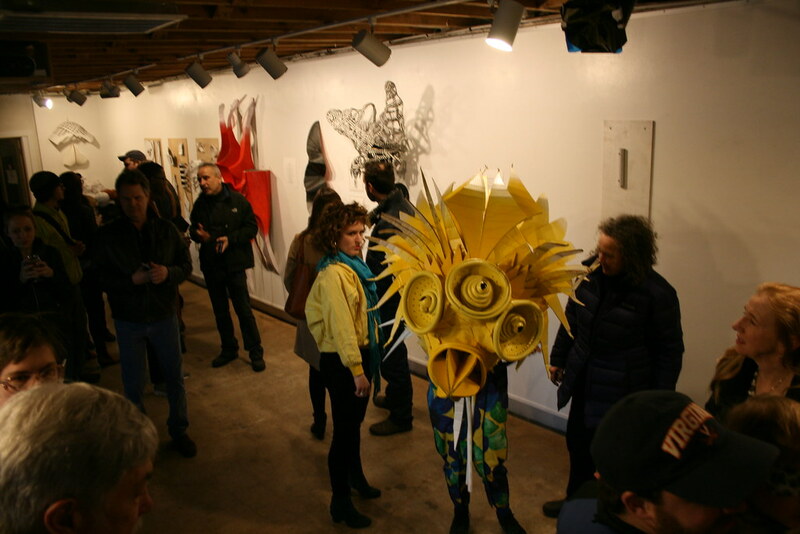 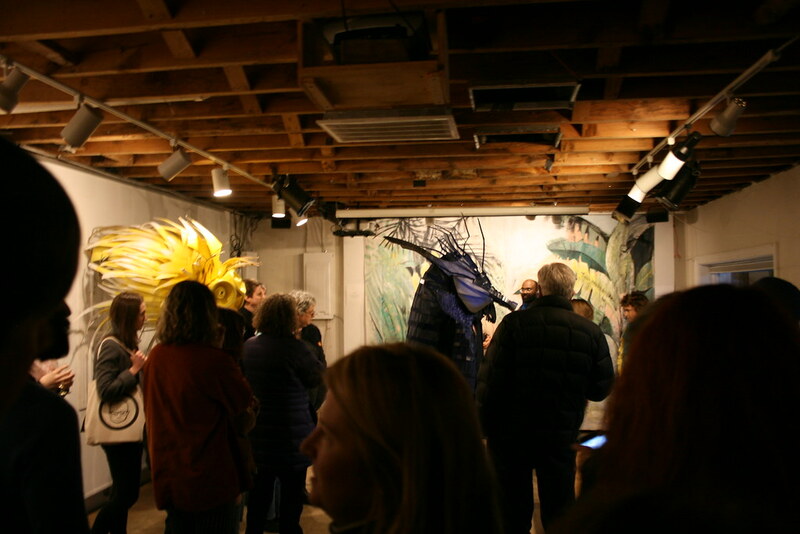 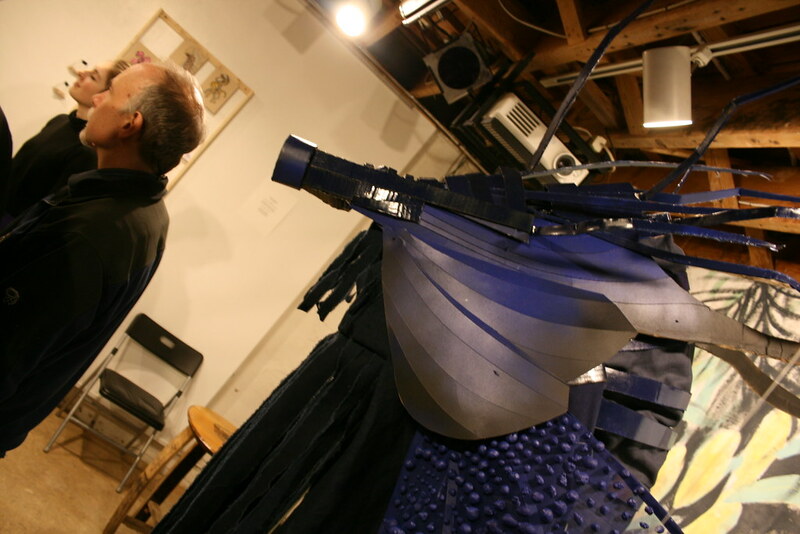 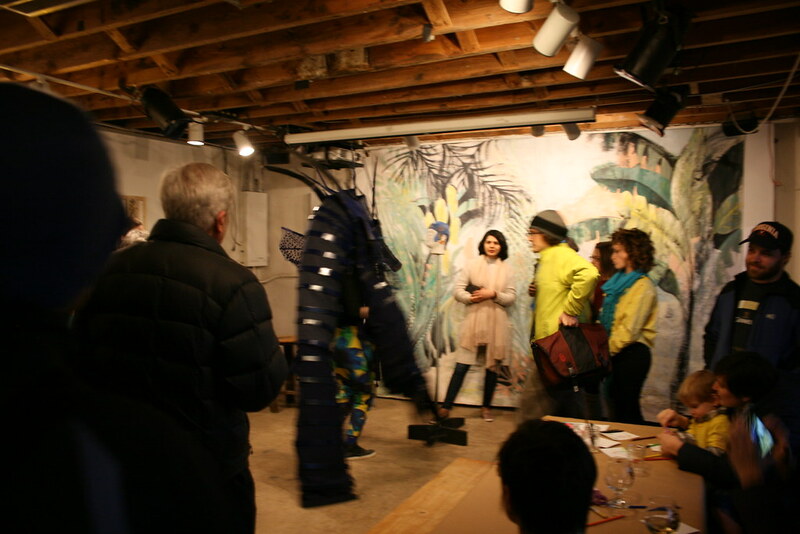 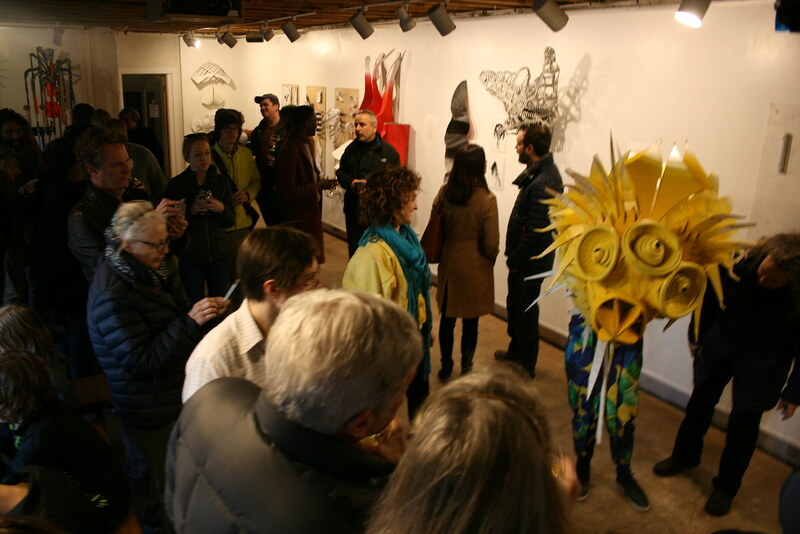 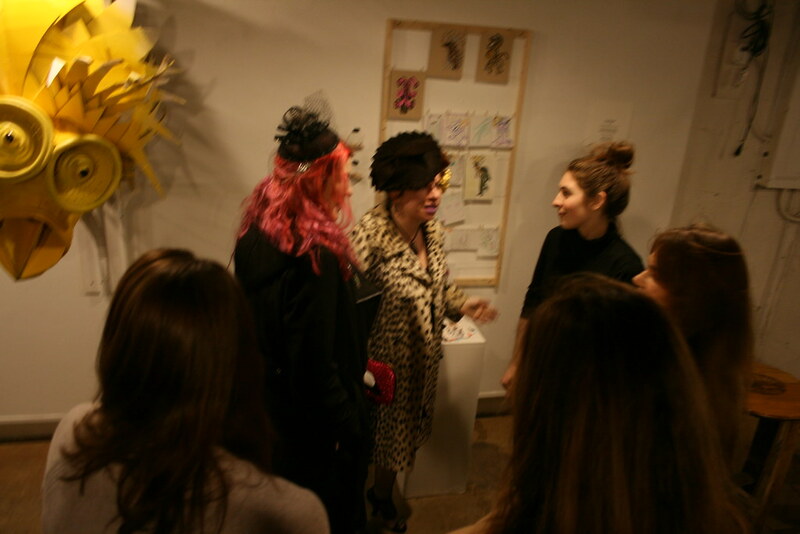 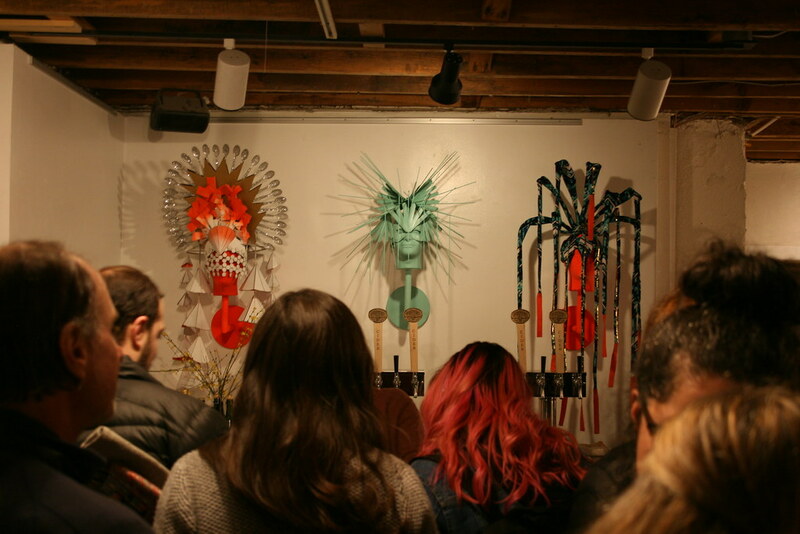 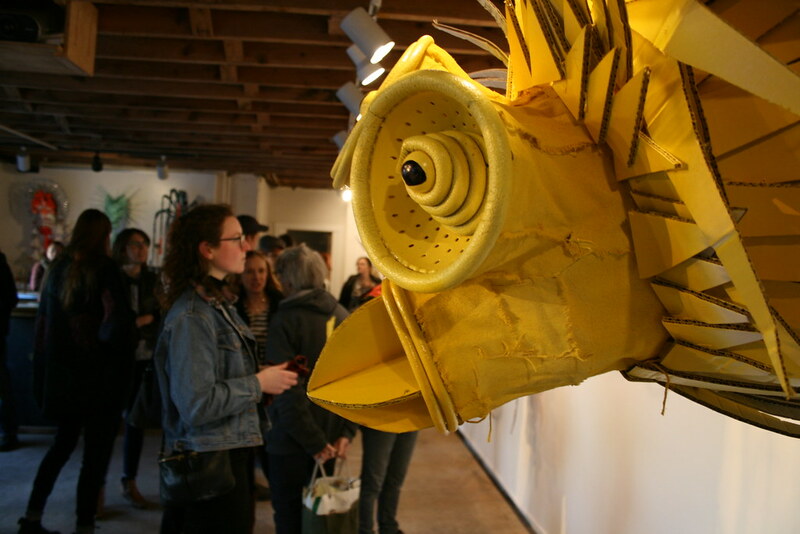 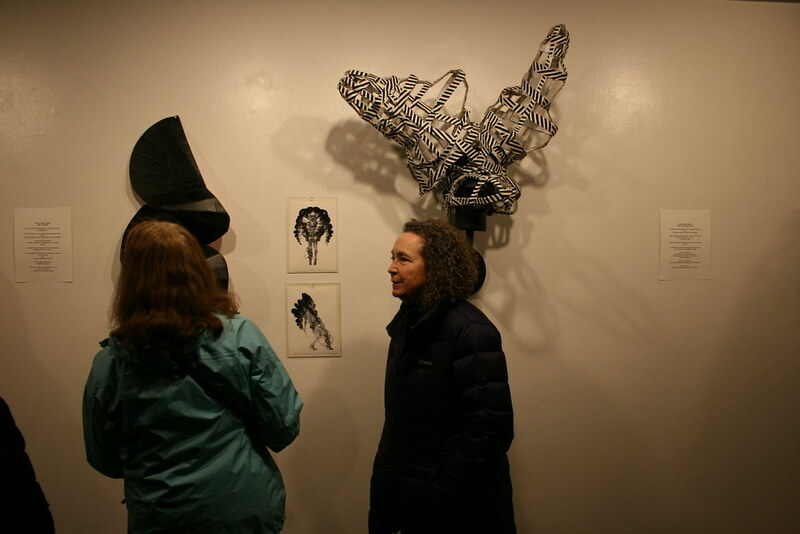 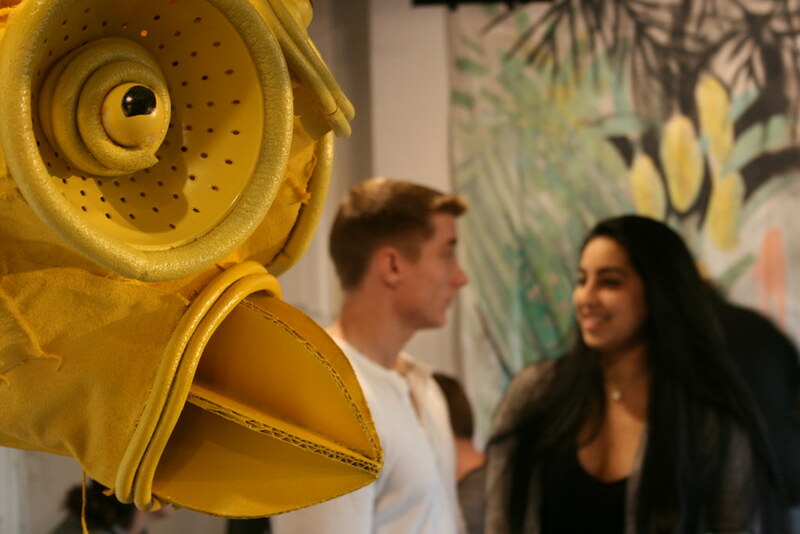 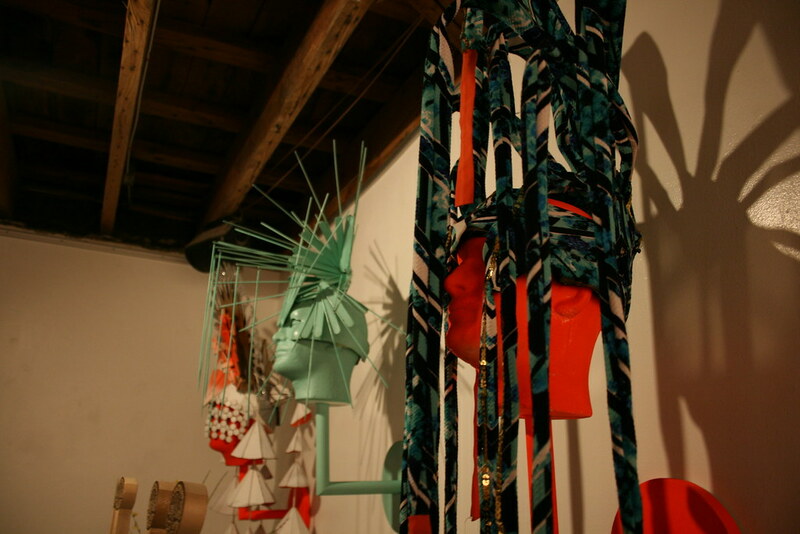 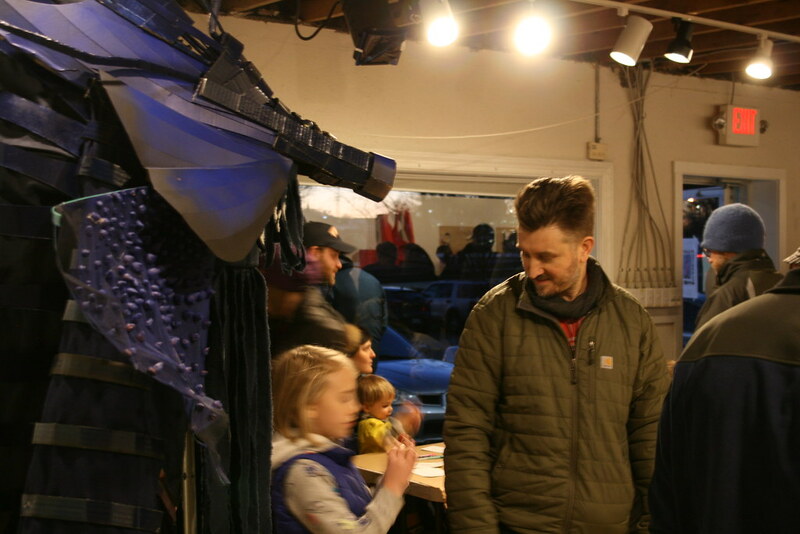 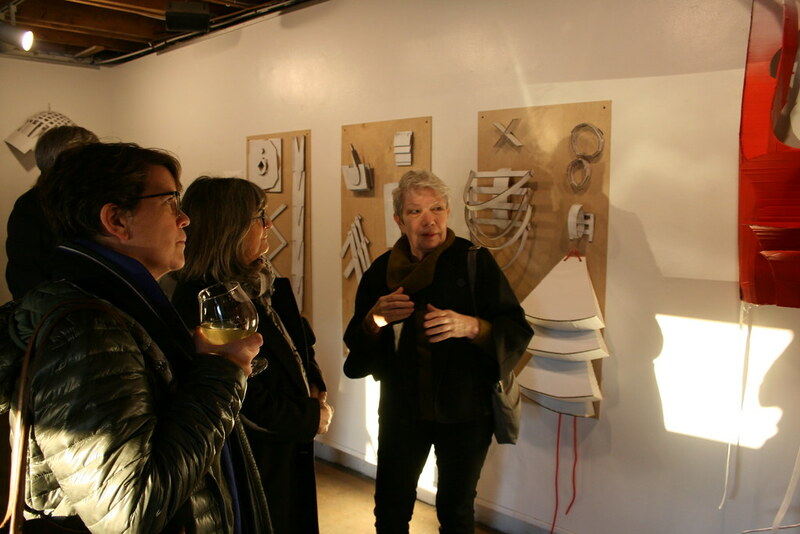 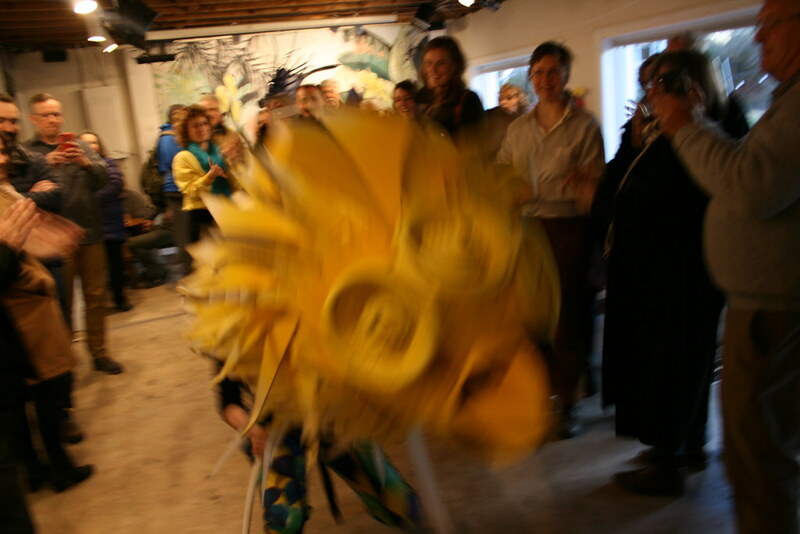 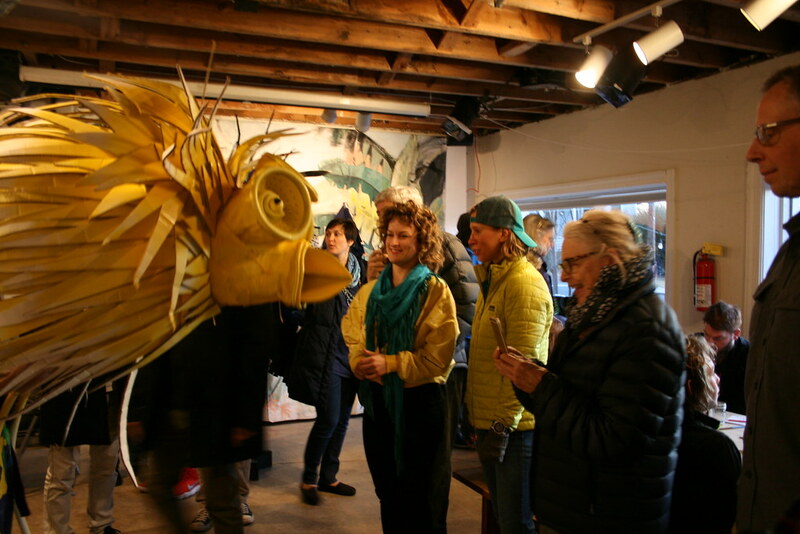 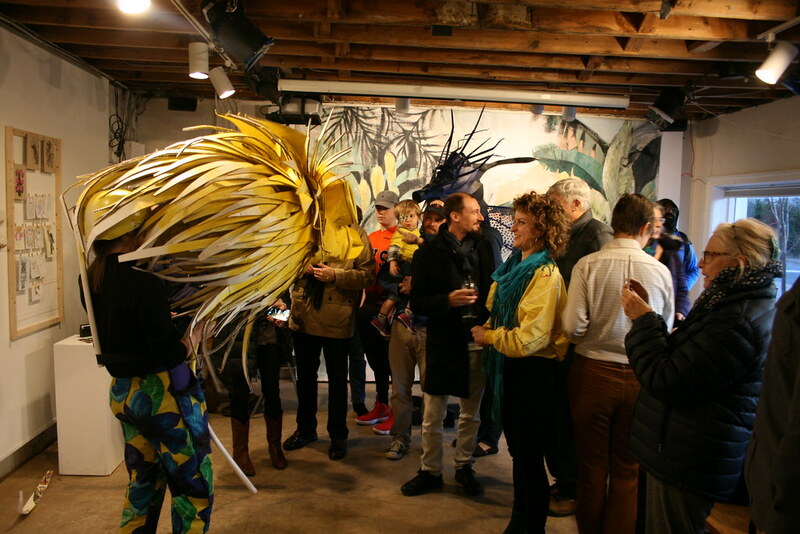 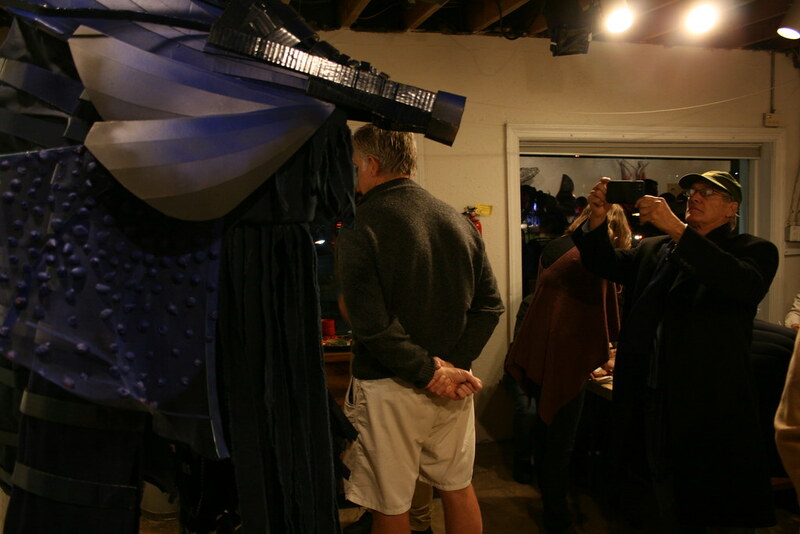 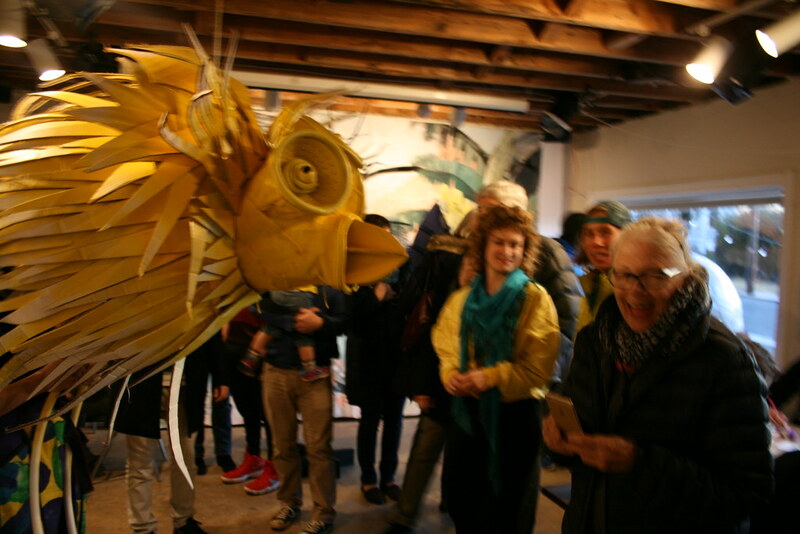 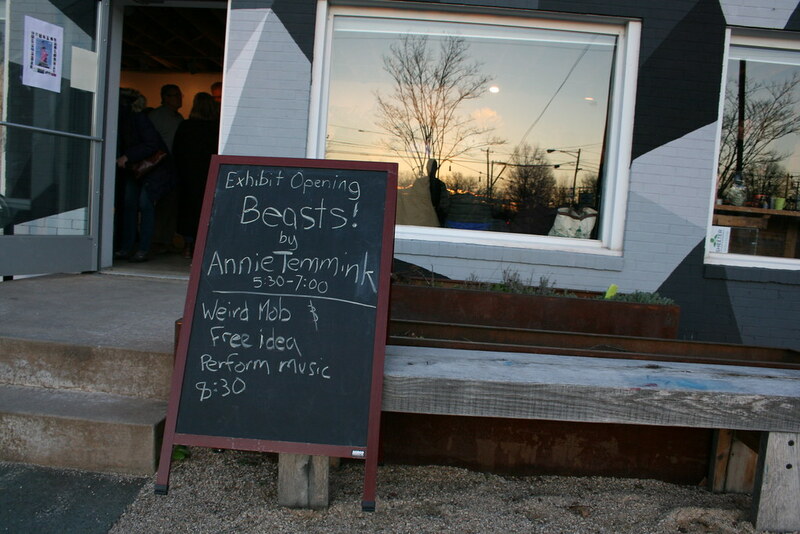 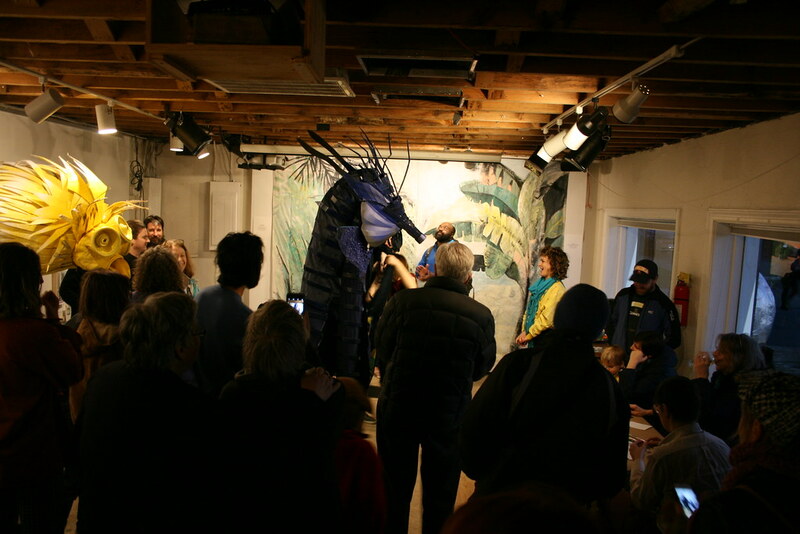 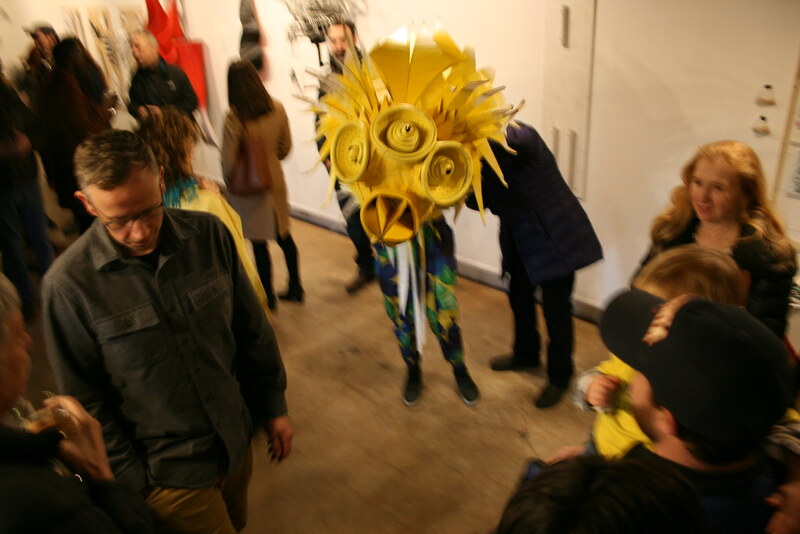 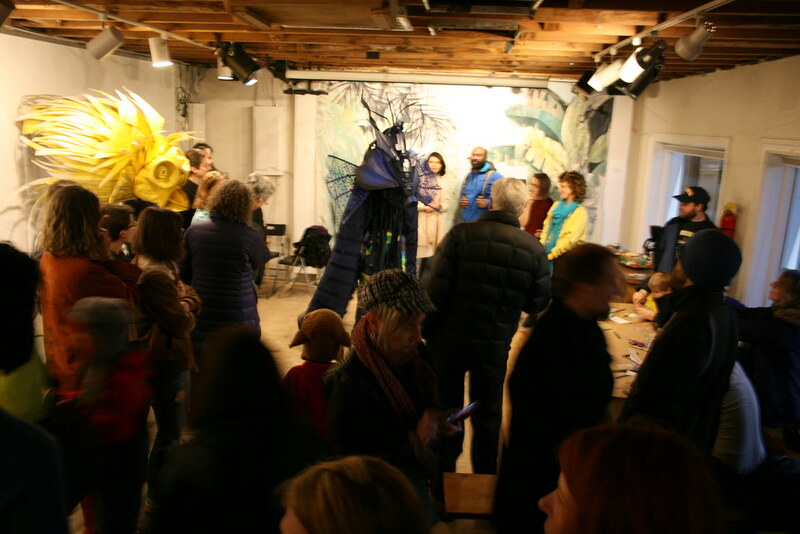 Internationally awarded sculptor and costume designer, Annie Temmink, unveils the show Beasts! 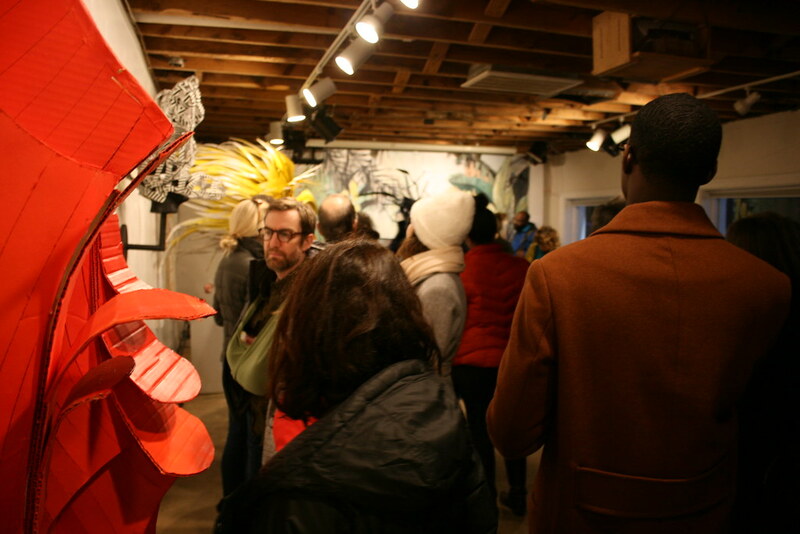 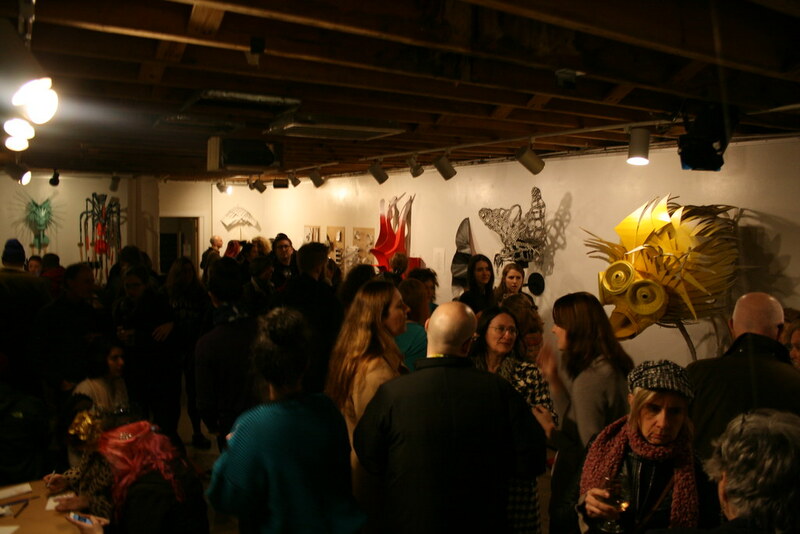 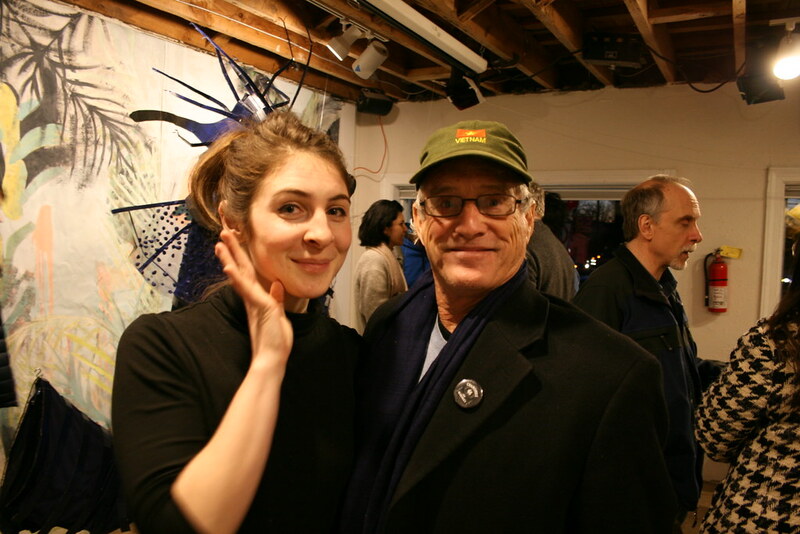 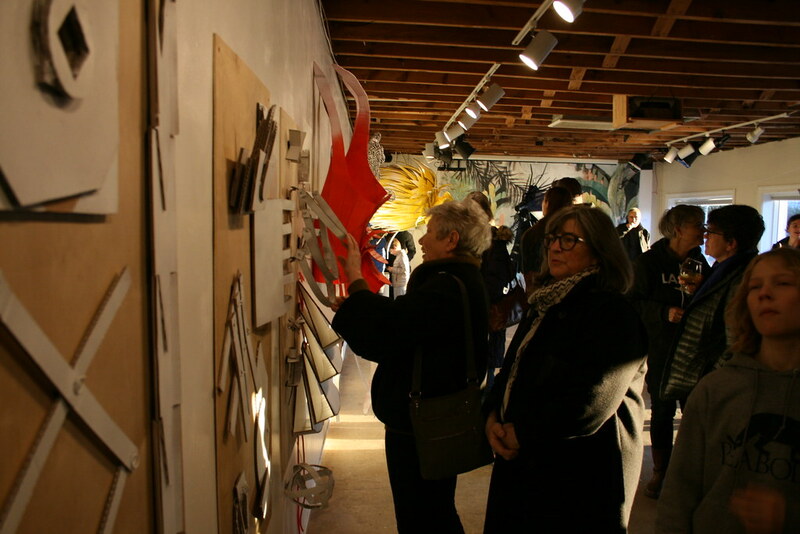 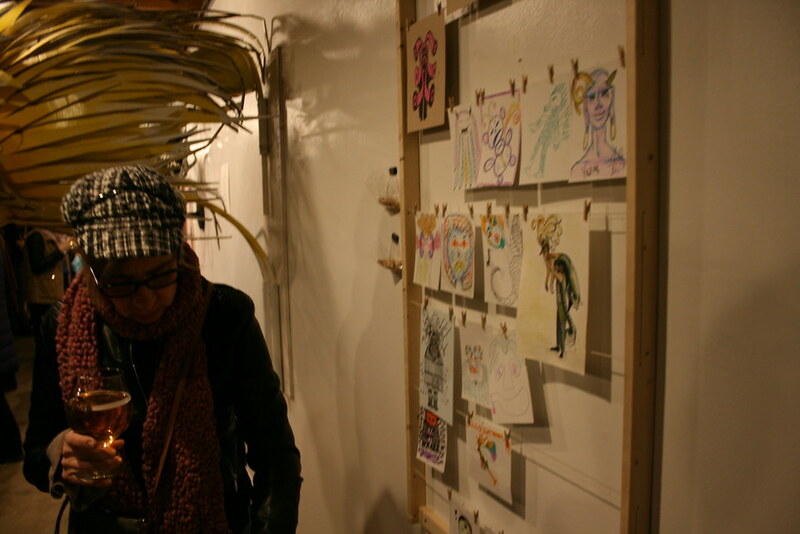 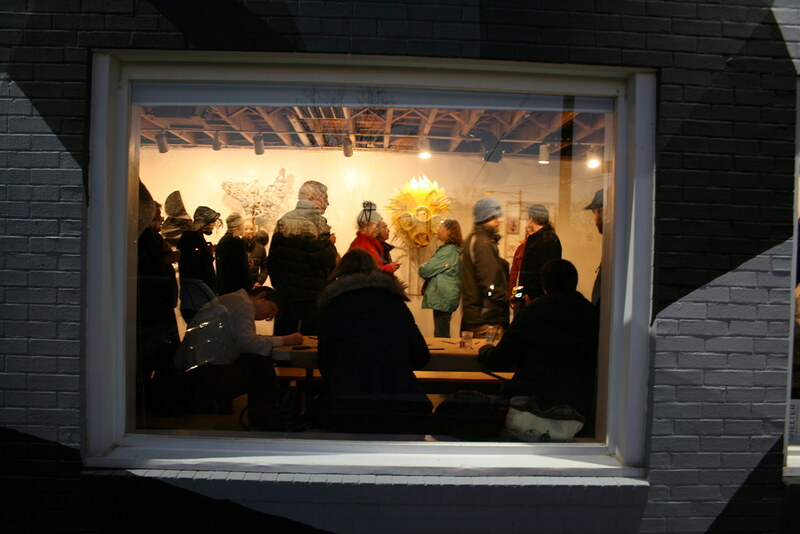 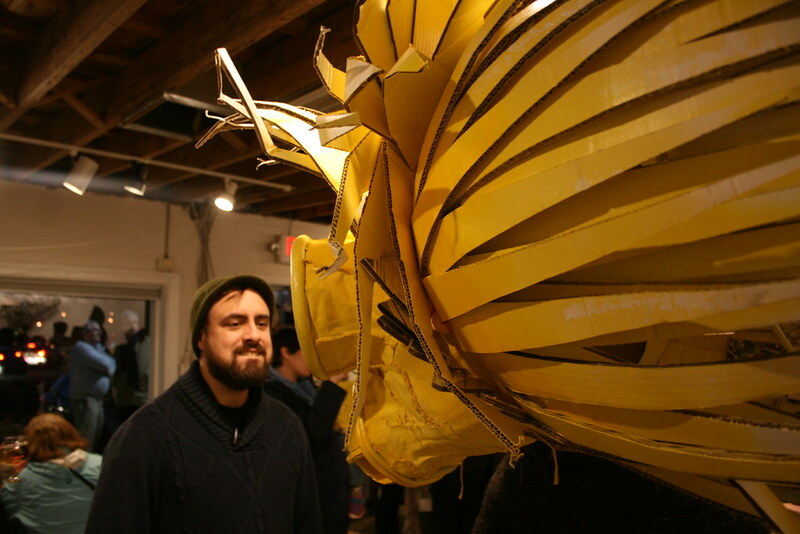 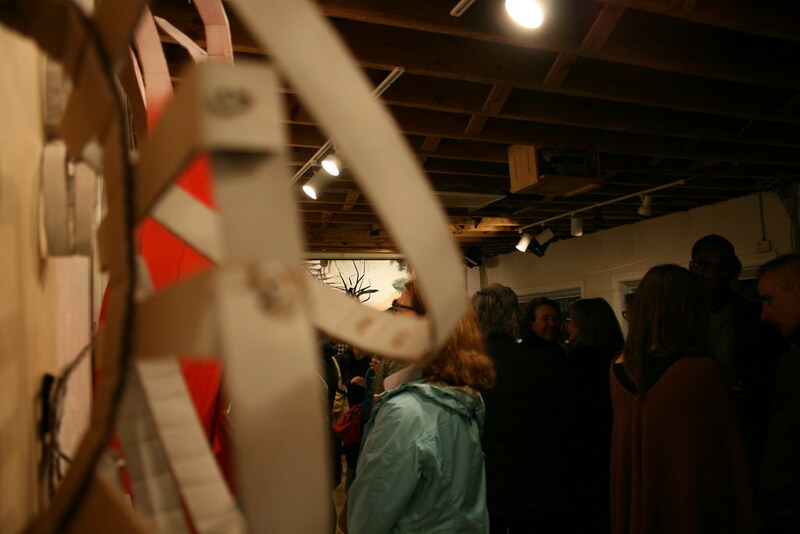 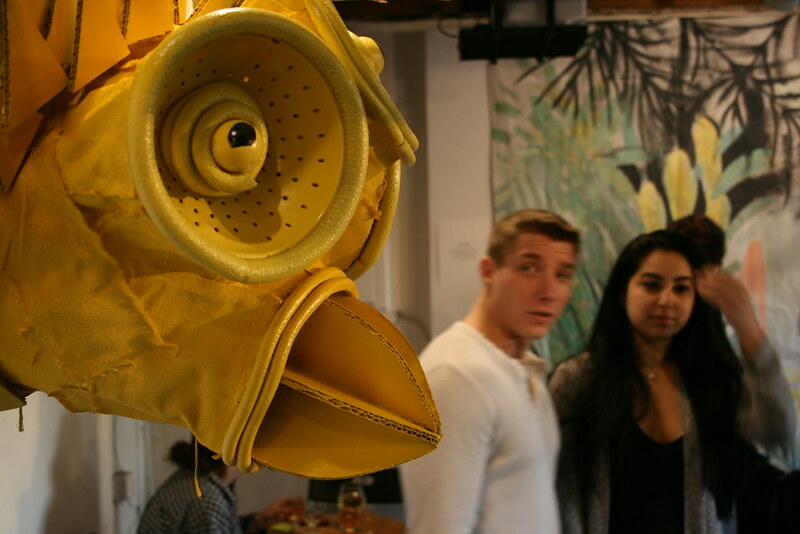 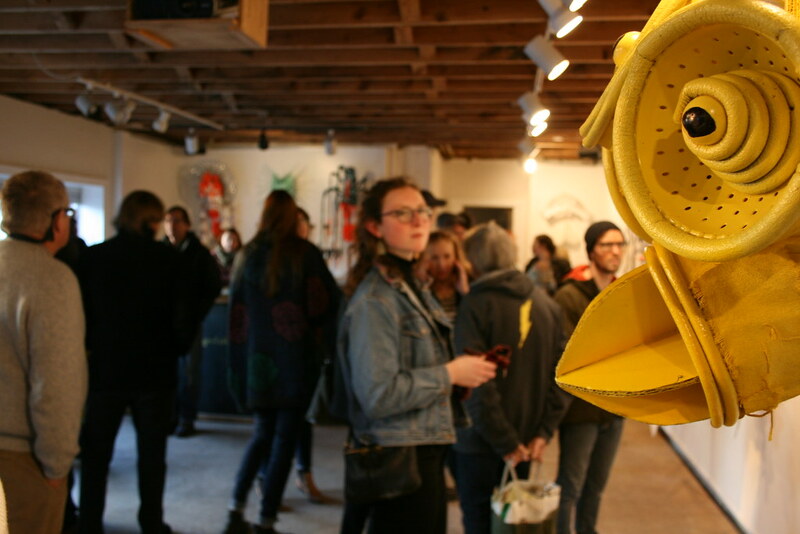 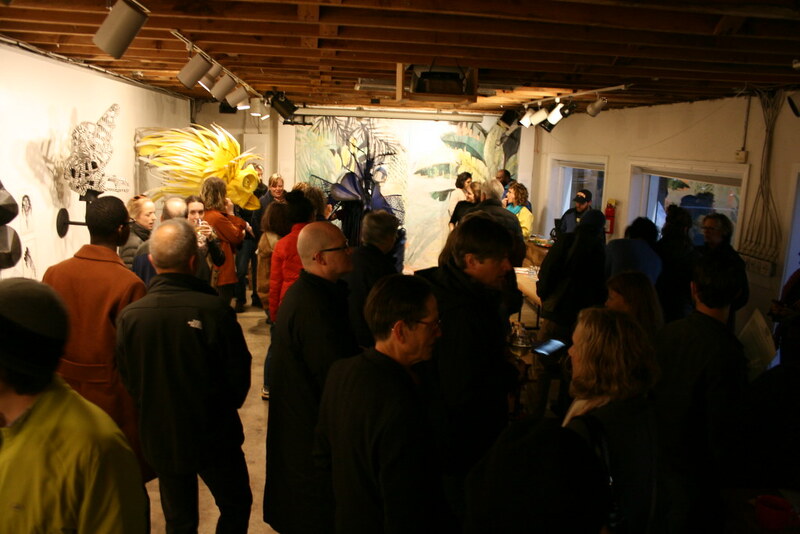 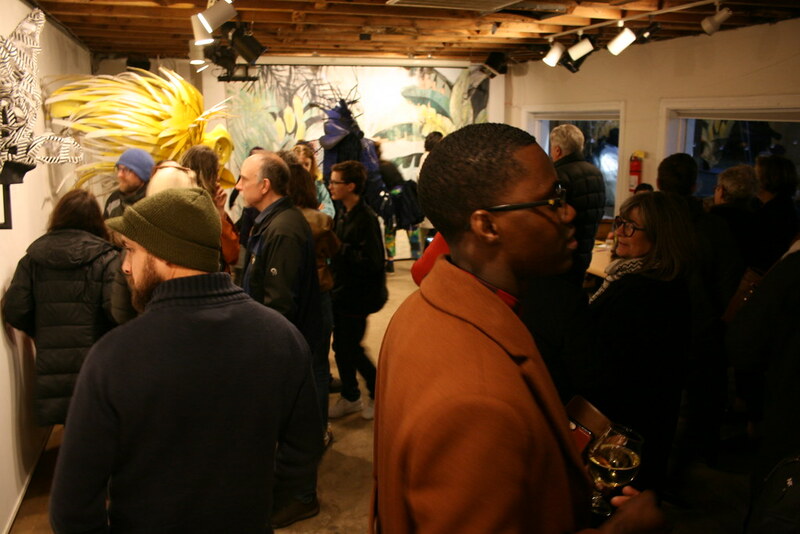 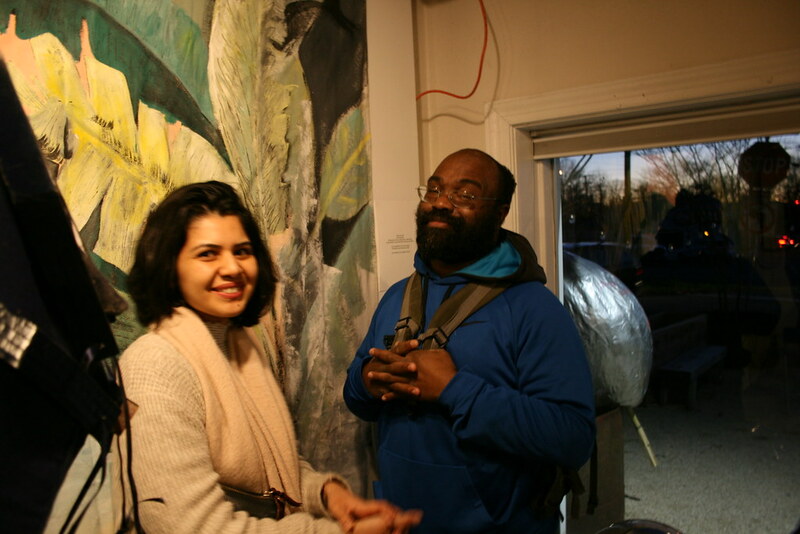 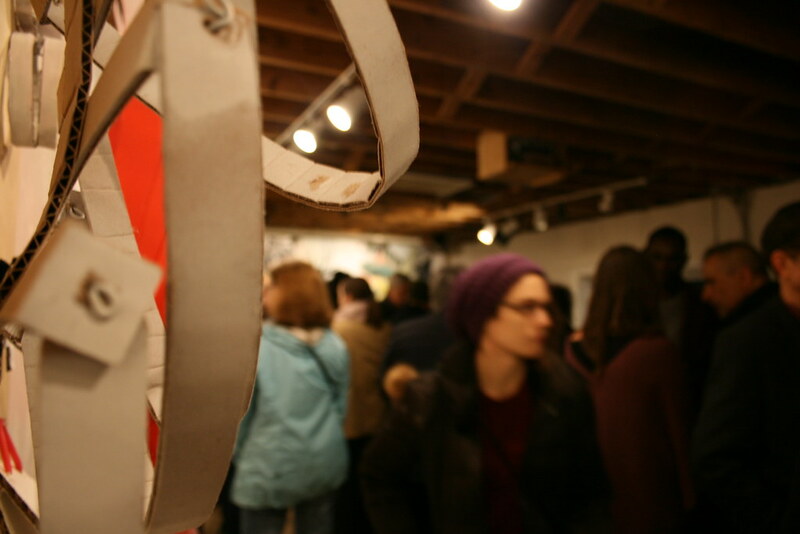 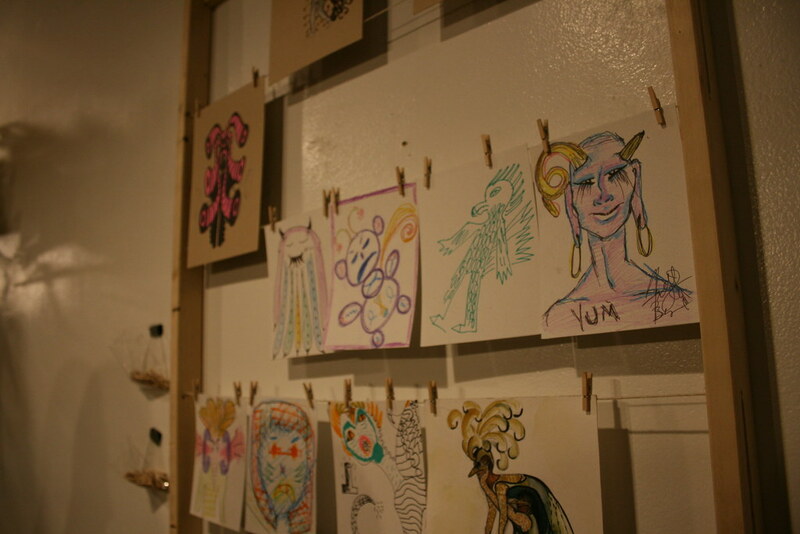 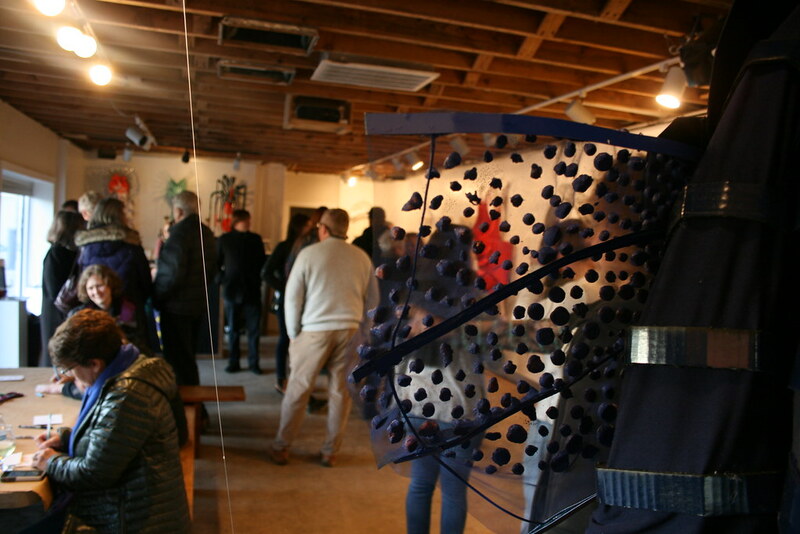 at the Bridge Progressive Arts Initiative through the month of March. 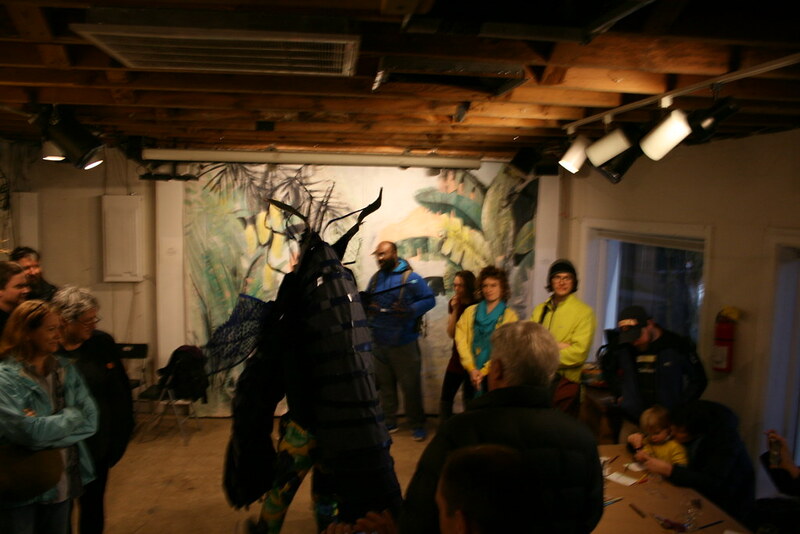 Beasts! 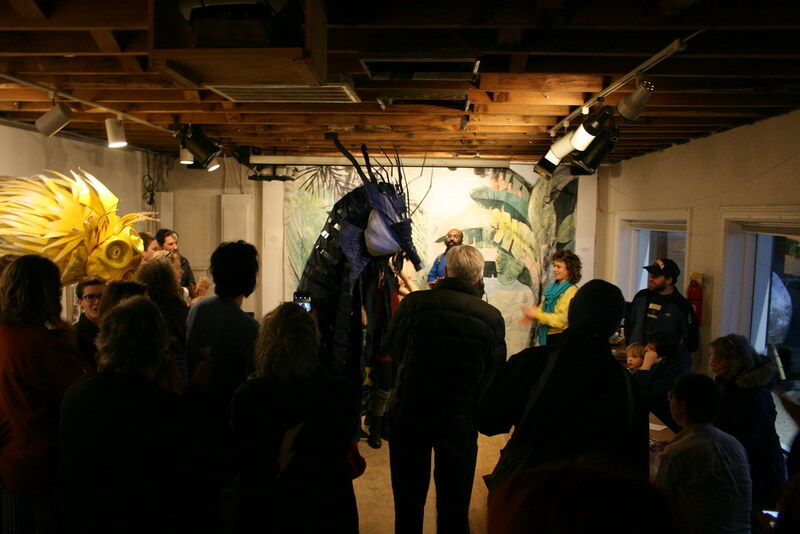 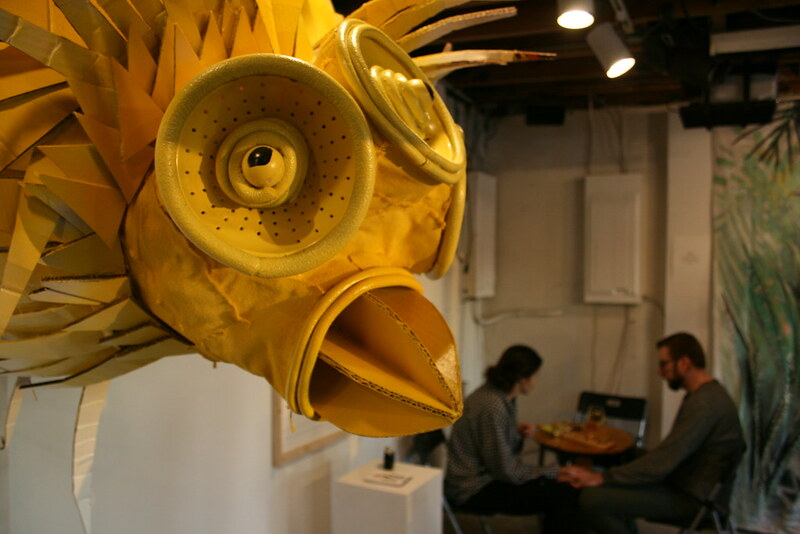 is a show about imagining and creating wild creatures. 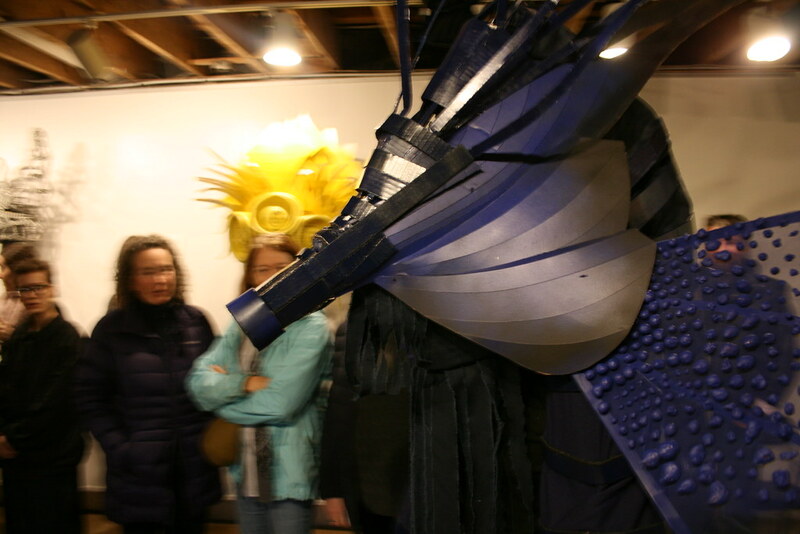 Focused on the exploration of movement through kinetic costumes, Beasts! 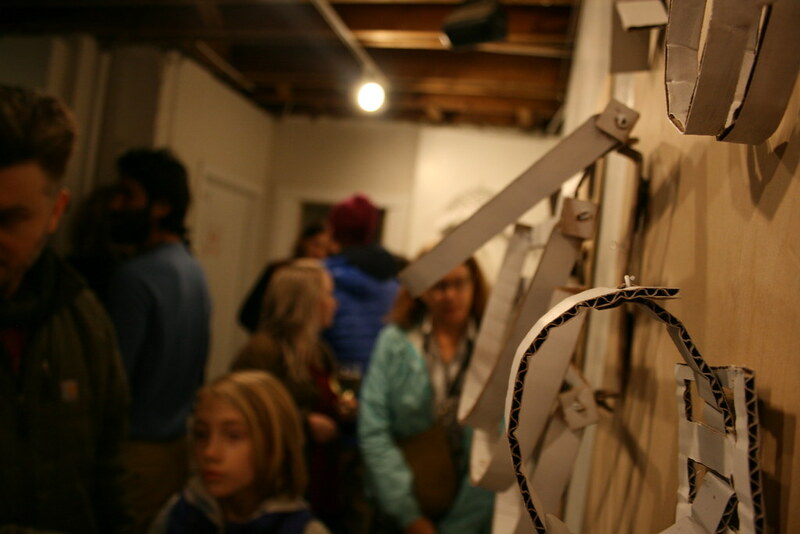 displays the process of walking into unknown territory and the ensuing rewarding, but messy, stages between fear, exploration, discovery, and celebration that arise. 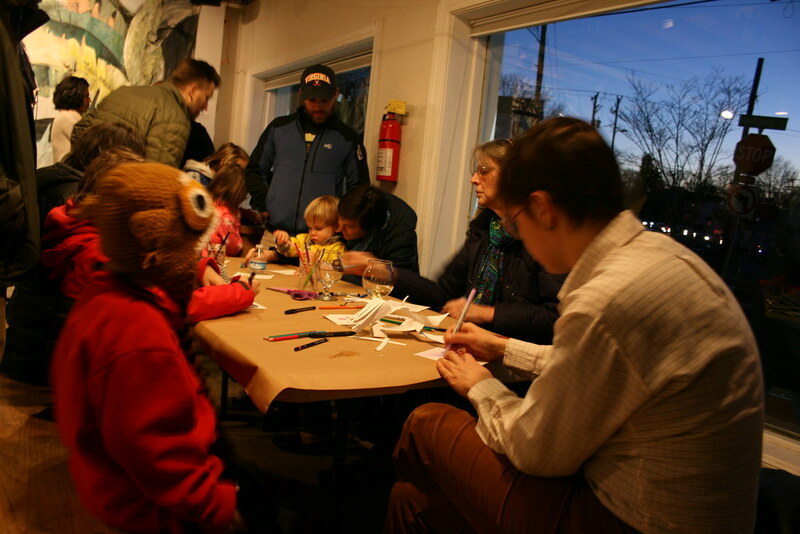 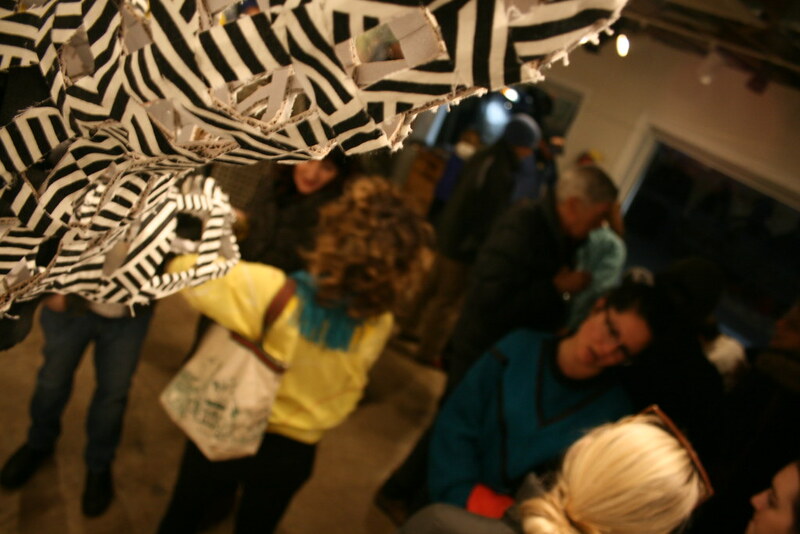 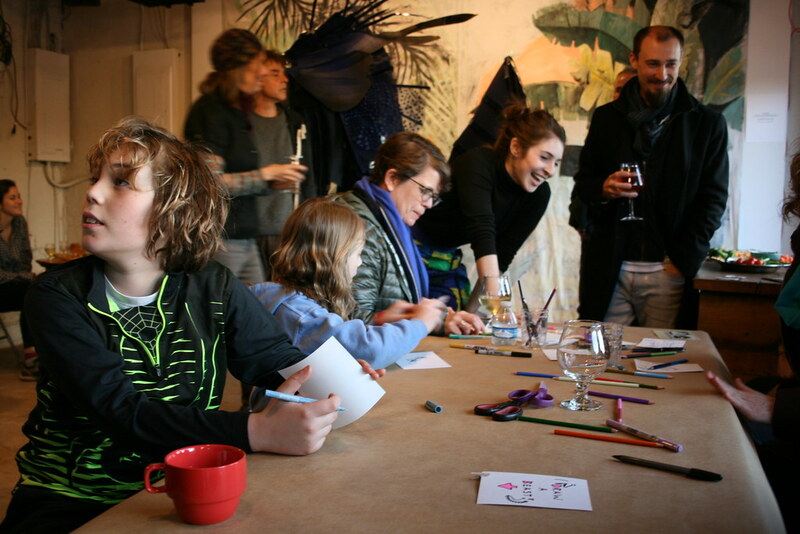 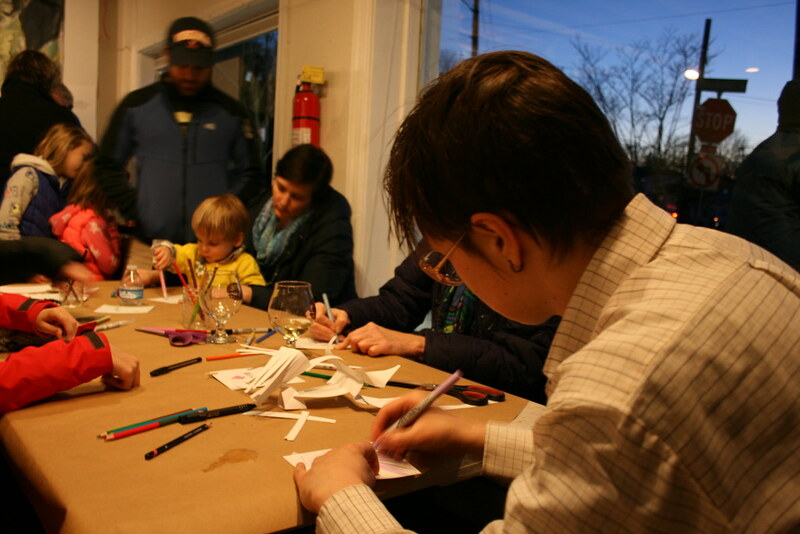 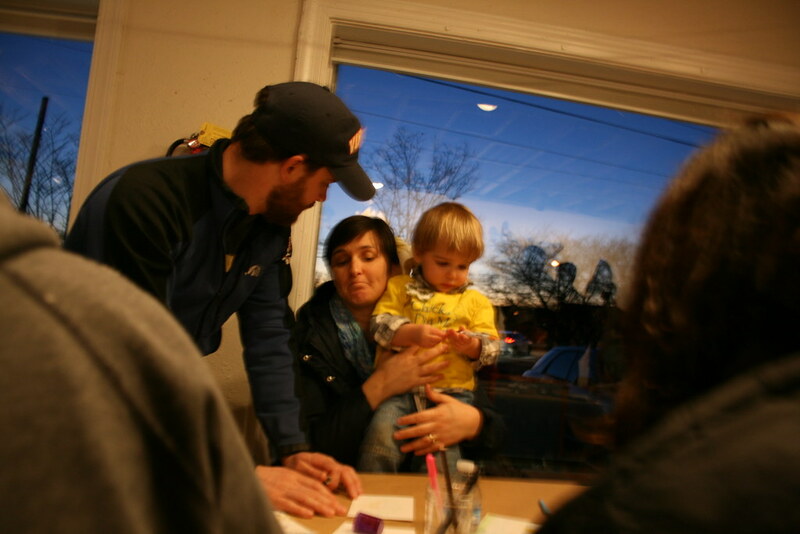 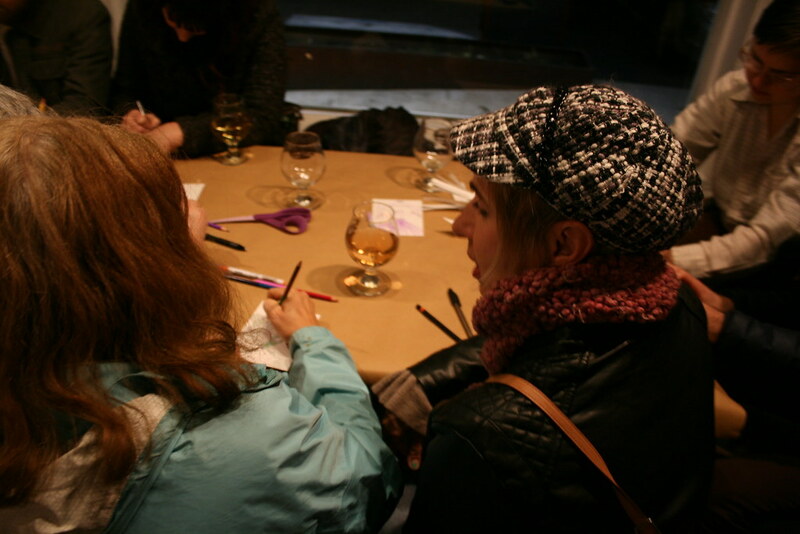 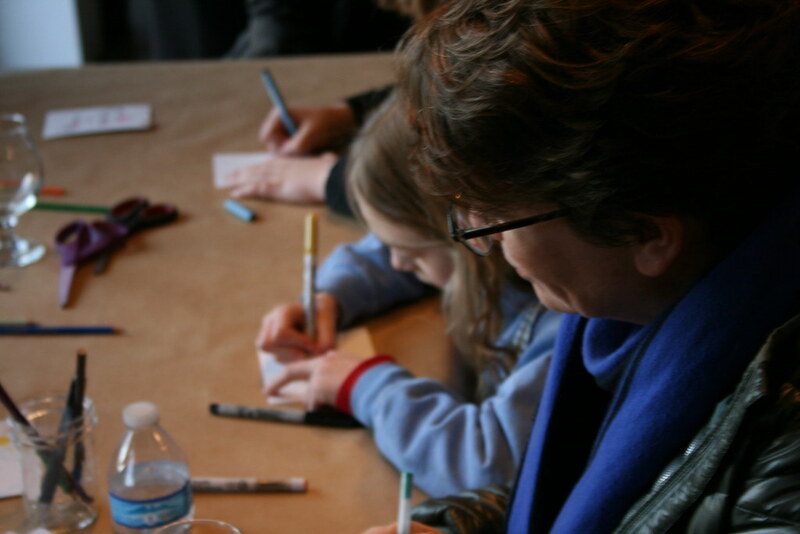 Come shake things up, explore for yourself, and build things with other people, March 2nd 5-7:30pm at the Bridge PAI. 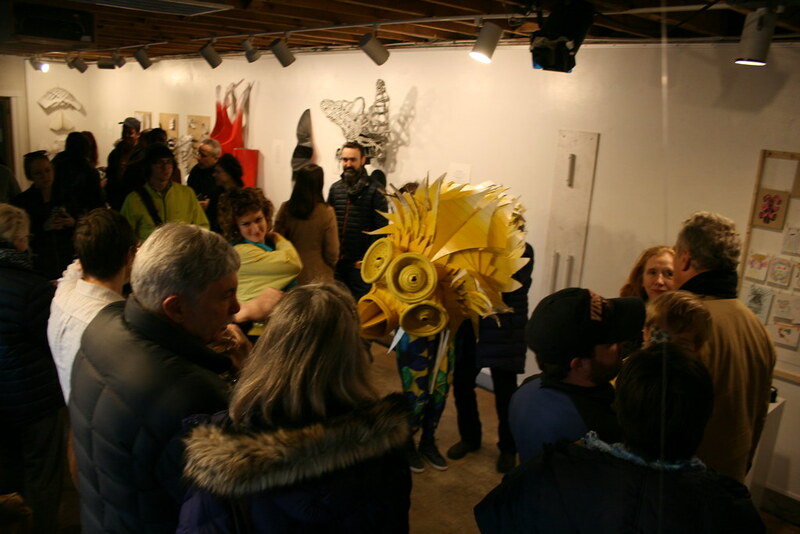 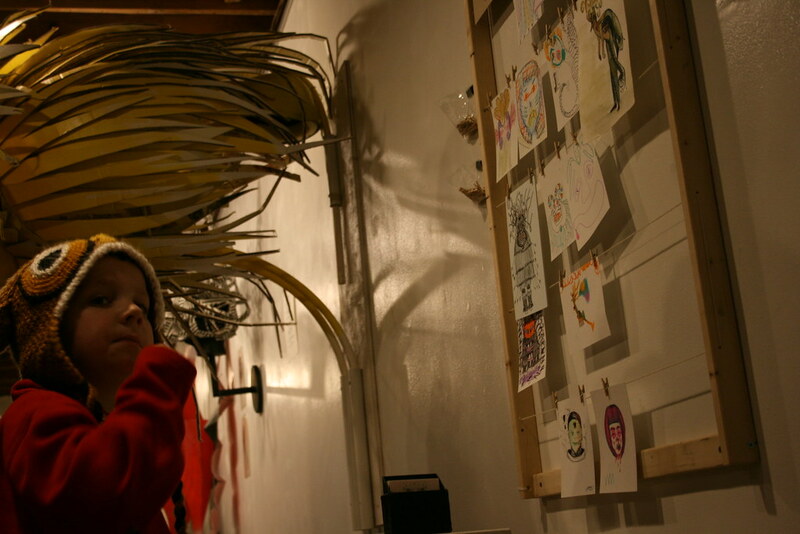 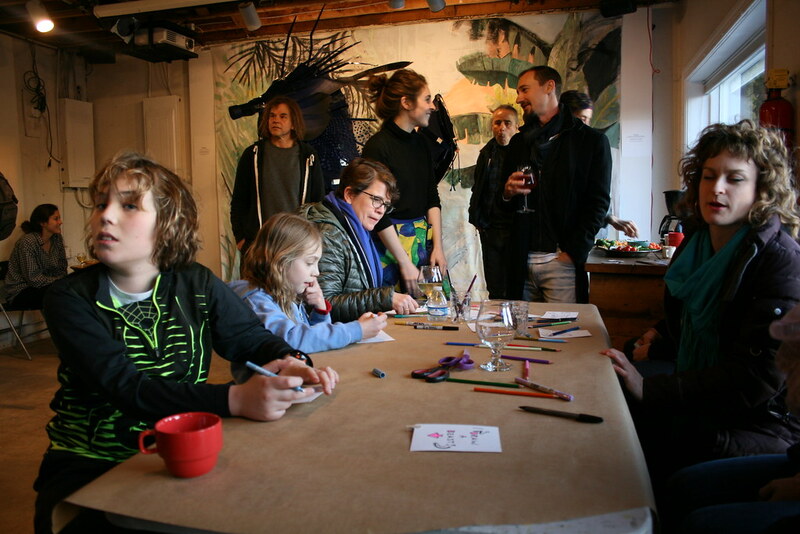 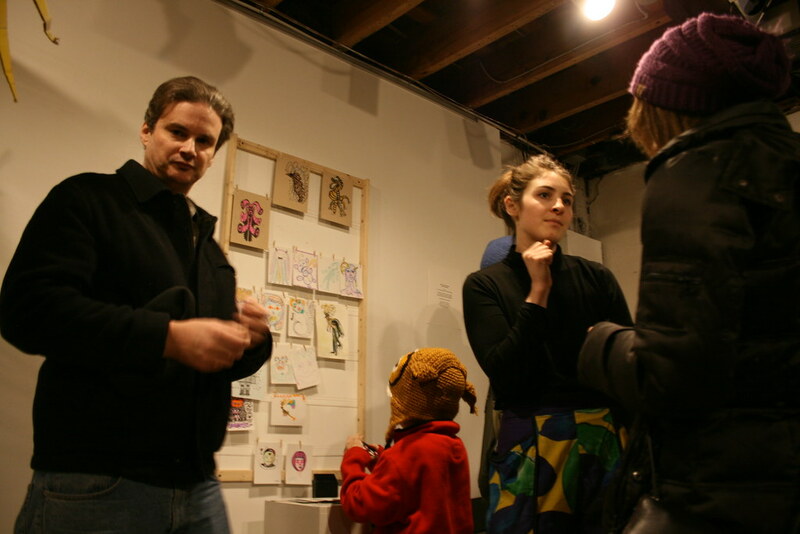 Music acts Weird Mob and Free Idea perform in the gallery 8:00-10:30. 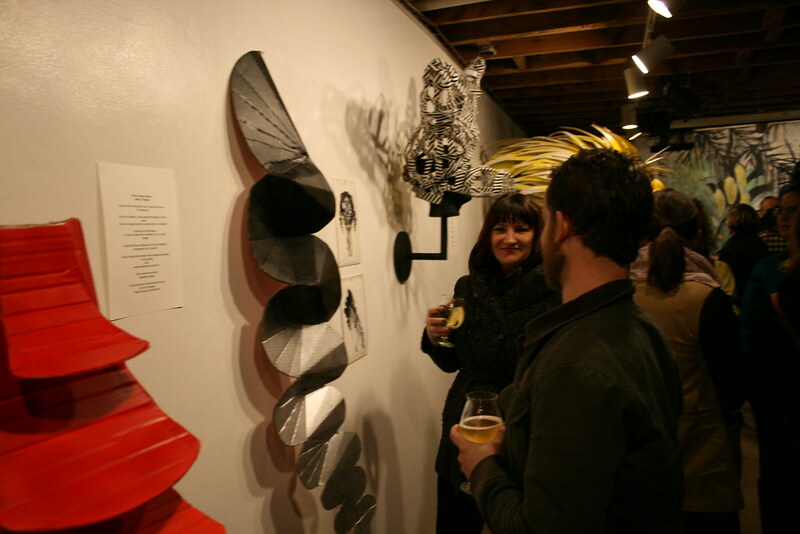 ABOUT ANNIE TEMMINK: Annie Temmink is a sculptor and costume designer with international accolades for her work. 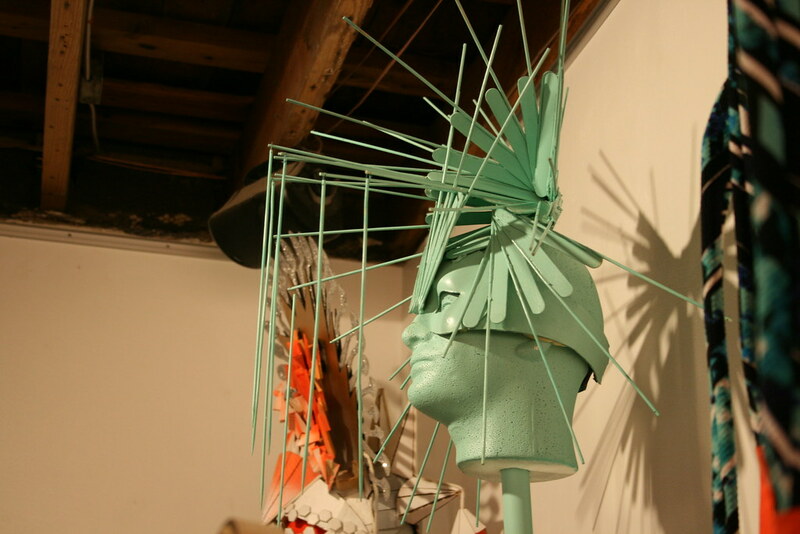 Her costumes, headwear and constructed accessories have been featured in the World of Wearable Art (Wellington, New Zealand), at the Video Music Awards (Los Angeles, Ca), on stage for the Crucible(Oakland, Ca), on the cover of Whurk magazine (Richmond, Va), and in numerous fashion shows along the East coast. 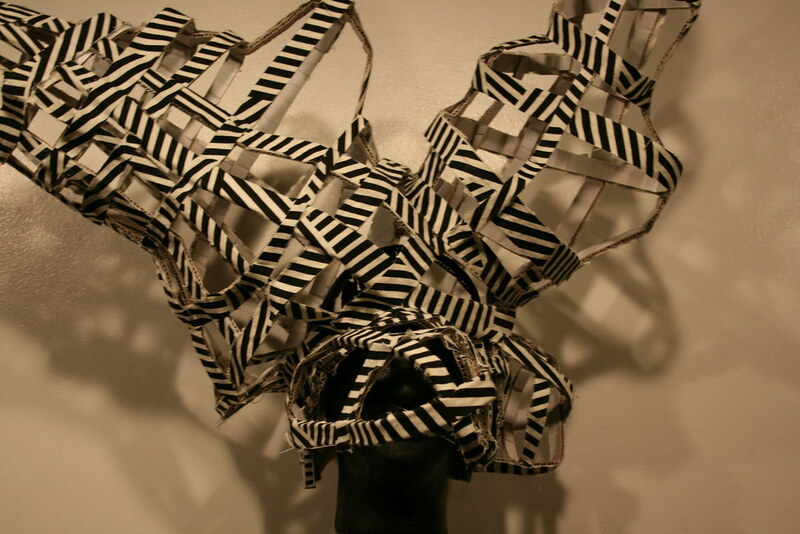 Much of her work is inspired by a year spent on a Watson Fellowship studying textiles, pattern, and adornment under master craftsmen in Indonesia, Japan, India, Uganda, Ghana, and Tanzania. 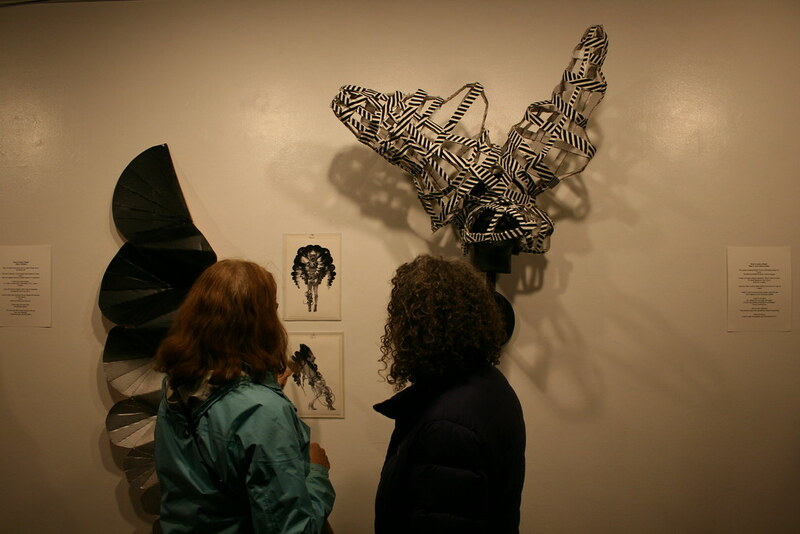 Annie’s work questions the threshold between inspiration and the unseen. 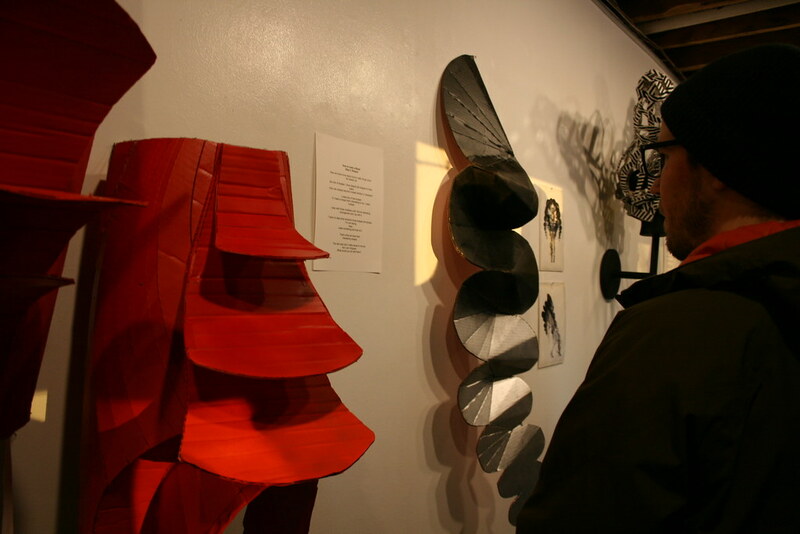 What is normal or habitual to the point of being forgotten and how can these monotonous materials reignite our imagination? 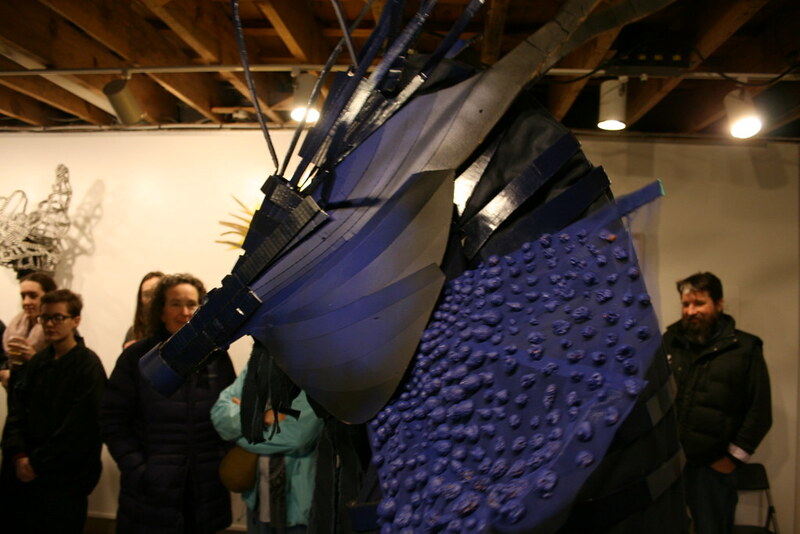 Annie’s work seeks the otherworldly from what’s seemingly unremarkable. 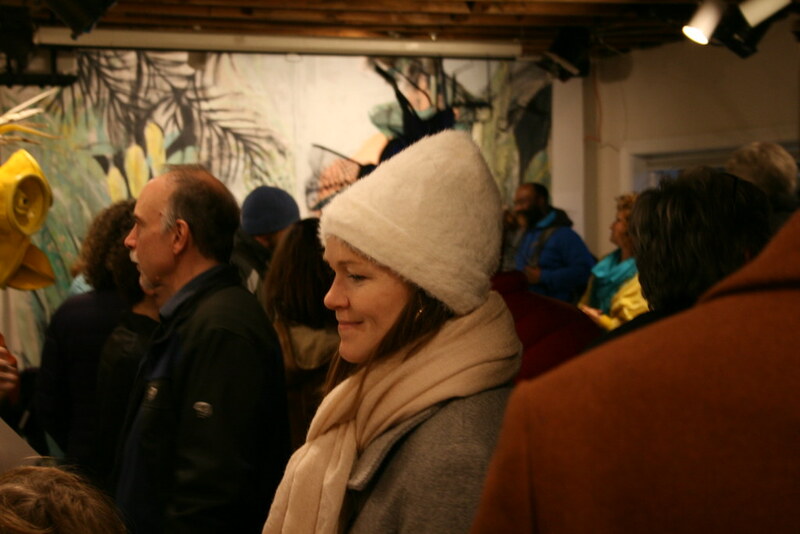 Annie hails from Charlottesville, Virginia and loves to dance. 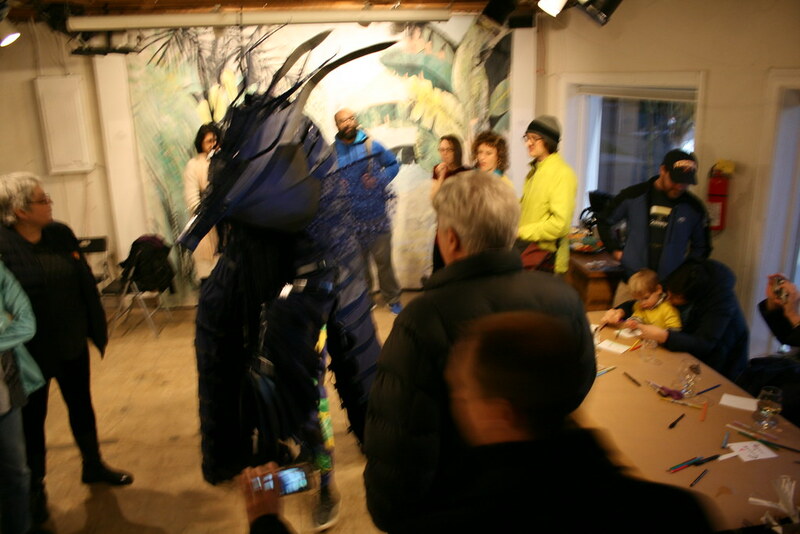 Find her at www.artemmink.com or Instagram @artemmink.